A Mothers Ramblings: A Holiday In A Day! 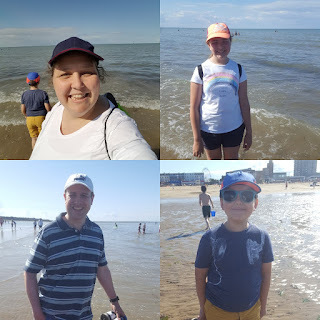 Flyfour and I decided that we needed to do something with the children before the end of the Summer Holidays as a family. 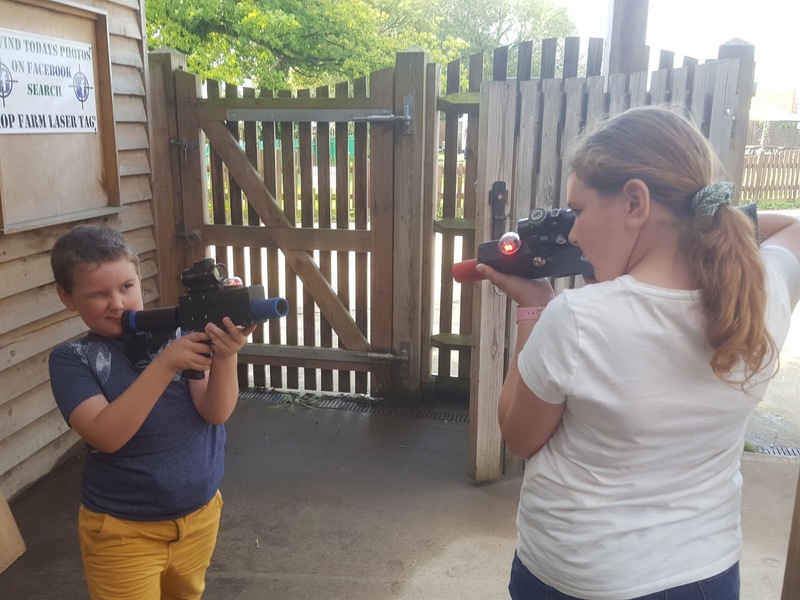 Our Summer had been a little disjointed with the works that had taken place, and both children with their normal few days away with Flyfour and various camps that they had gone on and it felt like we hadn't actually done anything together. 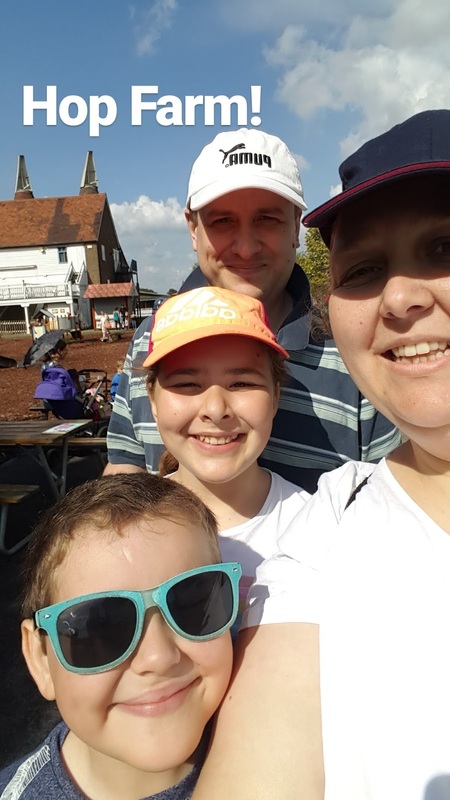 So, we decided to finally go as a family to Hop Farm in Kent, for our last Summer Hurrah and we'd pair it with going to Margate to have a holiday in a day! 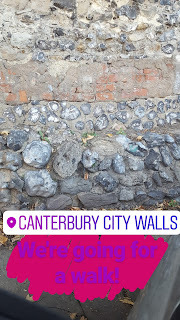 We decided to keep it secret from the children and it wasn't until we were almost there that Top Ender twigged where we were heading. 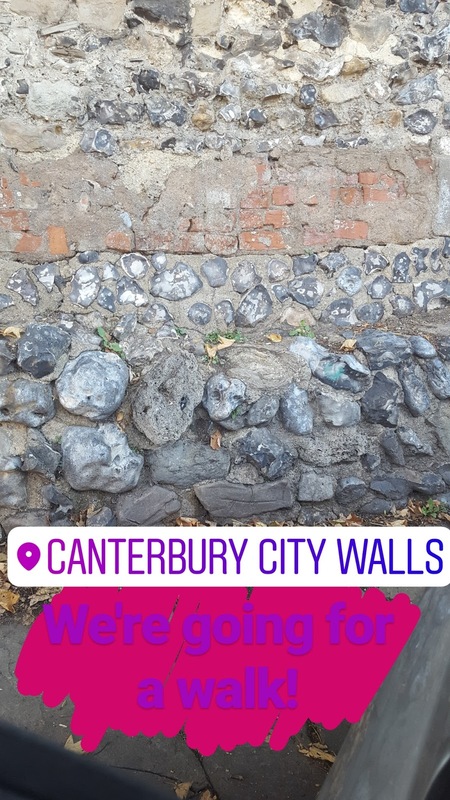 The children of course had been here with Flyfour when they had holidayed in Kent last year and the year before that too. They had loved it so much and wanted to take me and we just hadn't had a chance to take me! Until now of course. And not just because we all want to shoot each other! Just so you all know I WON, not only because I was killed the least amount of times but because I looked best with the gun! We had a small snack and then we headed off to Margate, where we paddled out to the sandbank and collected seashells from the shore, examined the seaweed, a dead crab, watched worms leaving casts on the sand, watched some tiny little fish swim around our feet, wrote our names in the sand and even had a giggle with the lifeguards who were watching over those playing in the water. 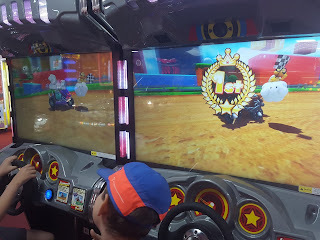 We headed up to the Amusements after an hour or so and played various games as a family. 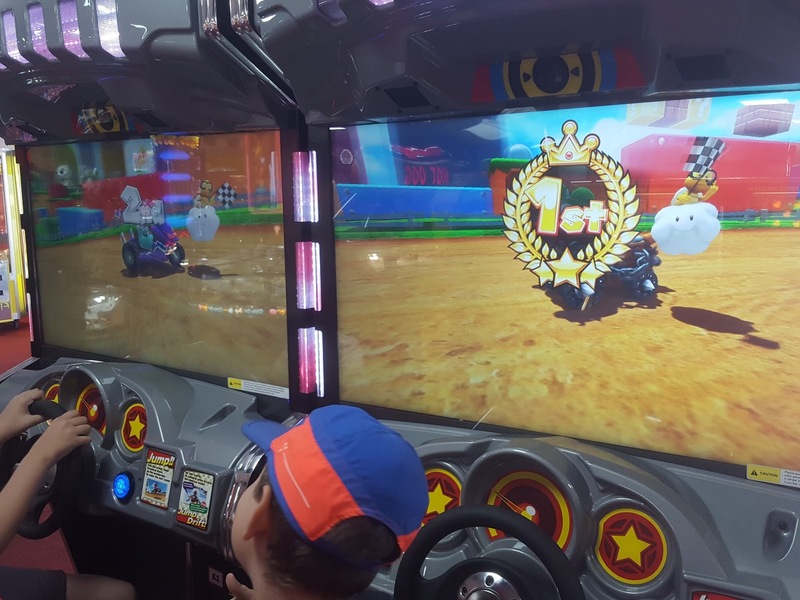 We played a few different games and then Dan Jon managed to beat Top Ender on the Mario Kart game, it was so close but it was all in good hmour, seriously it was on the line that he over took her! Then we had a family game of girls v boys on the air hockey table. Top Ender and I totally won on that one! We had some chips, which we ended up eating in the park near the sea front because we could sit in the shade, as it was rather hot on the beach front! It was still early, but we decided that we had finished for the day and would head home... just we weren't quite ready for it! 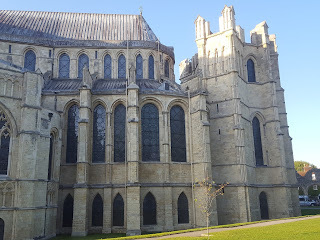 Which is why I got to see Canterbury Cathedral for the first time in the setting sun. 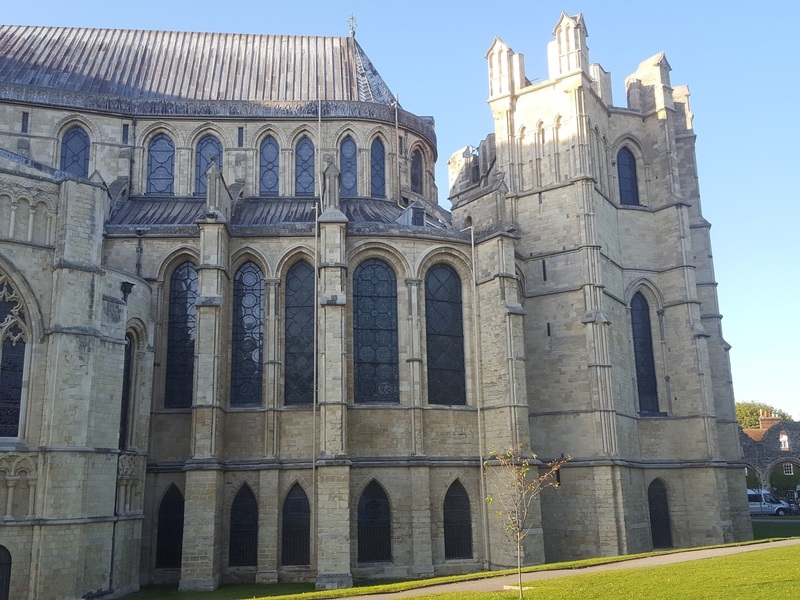 It's a glorious building and I hope to be able to go back when it is open so I can look around inside. 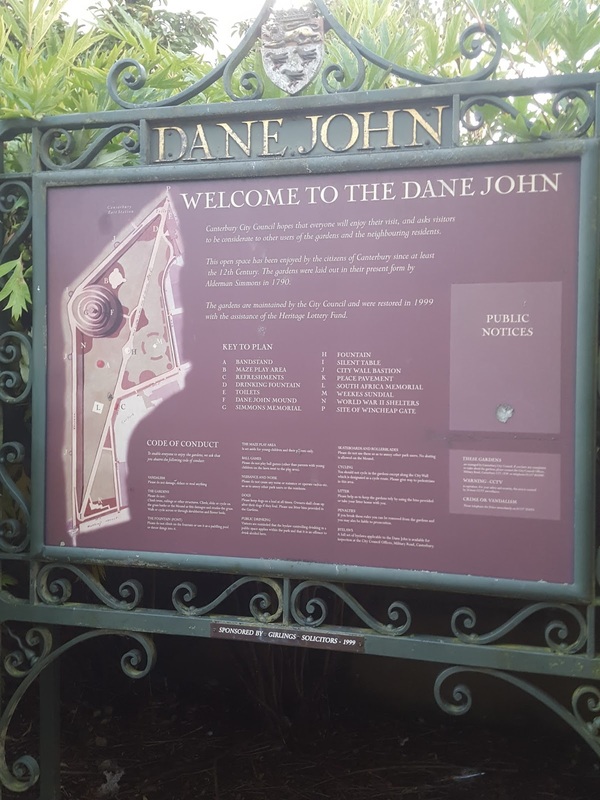 We walked through the shops until we reached our real goal in Canterbury, a place that we thought Dan Jon might appreciate Dane John Gardens! 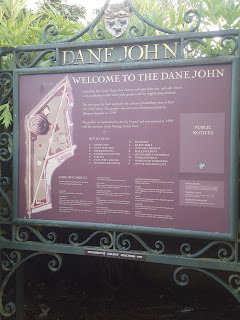 Dan Jon thought it was hilarious that the gardens were named so close to his moniker and as we walked along the side of the gardens along the city walls, we read all the various historical facts that were handily printed for tourists. The whole day was a blast, we walked and we talked and we reconnected as a family and we just felt re-energised despite the day having been totally exhausting, with the amount we crammed in!